Can’t get enough of your cozy knit collection? Join the club! With fall upon Us, we can never go wrong with adding a snug piece to our wardrobe. If you’re in a shopping mood for a stylish find for your own closet, then you’ve come to the right place! The Shop With Us team has spied a beautiful cashmere T-shirt worthy of scooping up! 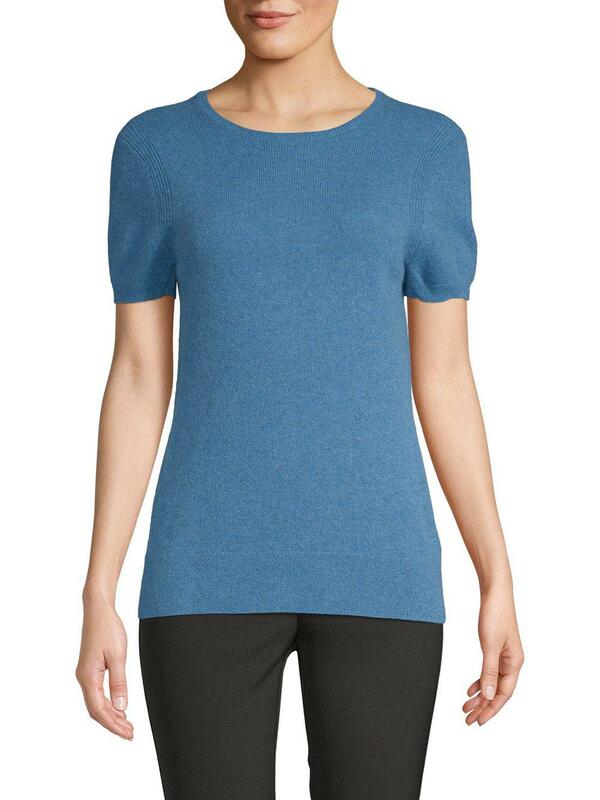 See It: Grab the Saks Fifth Avenue Drop Shoulder Cashmere Tee at Saks Off Fifth for an additional 40 percent off of $99.99, now $59.99, before the sale ends. 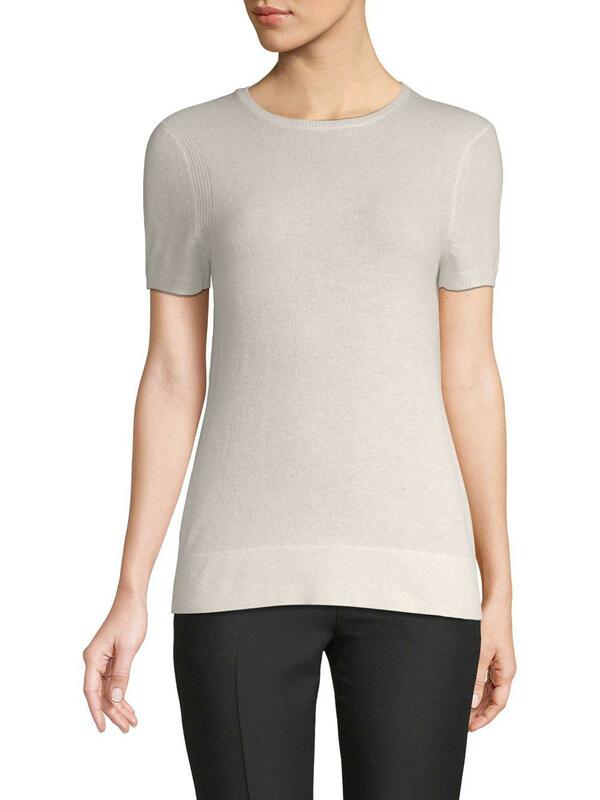 The Saks Fifth Avenue Drop Shoulder Cashmere Tee is a cozy essential. Crafted with a crewneck cut and short sleeves, this piece is the ideal everyday top. Its super soft cashmere fabric and pullover style is the perfect remedy to brave chilly temps beneath a cardigan or jacket. Featuring a rib knit collar and cuffs, this piece adds texture and dimension for a smart tailored finish. Available in a wide range of hues, including earthy tones, vibrant shades, cool tones and more, you will have fun mixing and matching with your closet. Floating the sale rack at $99.99, this design can be yours for only $59.99, thanks to an additional 40 percent markdown. Pretty sweet, right? We’re pairing this super soft garment with dress pants and pumps for a work-ready ensemble. For a casual spin, we plan on dressing it down with skinny jeans, leather flats and a draped jacket. We can also pull off a tuck and go look with a leather skirt, moto jacket and strappy heels for a romantic night out. With sizes extra small to extra large currently in stock, now is the time to add this top to your arsenal. Let’s be honest, you can never go wrong with a stylish knit! Ready to browse the racks? Score an additional 40 percent off with the code “WARMUP” for a limited time, to take advantage of the instant savings!